Christmas season can be a very stressful time of the year. It’s the time of year when we usually experience a lot of good stress like the excitement brought about by Christmas shopping and family reunions. But we can also experience bad stress such as Christmas rush traffic and year-end business activities. Regardless if good or bad, stress may aggravate acne. I've had my fair share of stress and the aggravating acne that comes with it. The increased levels of stress stimulate the body's production of various hormones and trigger different changes in the skin. Sometimes it causes the skin oils to become more viscous making you more acne prone. 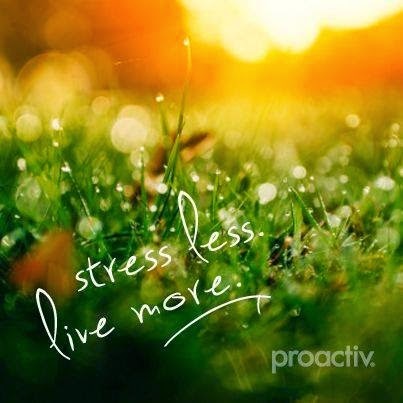 Stress also reduces your body’s natural immune defense and your skin doesn’t fight off bacteria build-up as well. When these happen, we become more prone to breakouts. Acne begins when oil collects at the base of the hair follicle and becomes trapped by dead skin cells. Bacteria flourish, form a plug and swell beneath the skin. 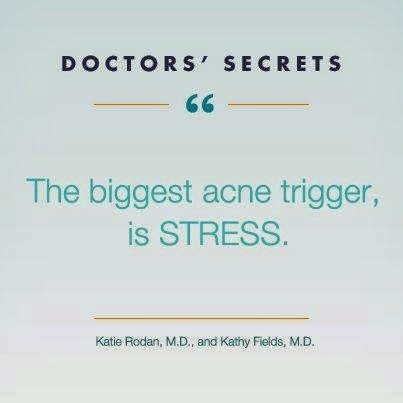 Stress can make acne worse, causing more anxiety, and creating a vicious cycle. I for one has been a bit stressed these past few days.Last week was the "last" week in school for the year 2014. Of course we were all happy but still stressed out with all the practices the students had to do to give their wonderful Christmas presentations for their parents and families to see. Trying to squeeze in some Christmas shopping was also a bit stressful.. whew especially with the TRAFFIC oh diba? 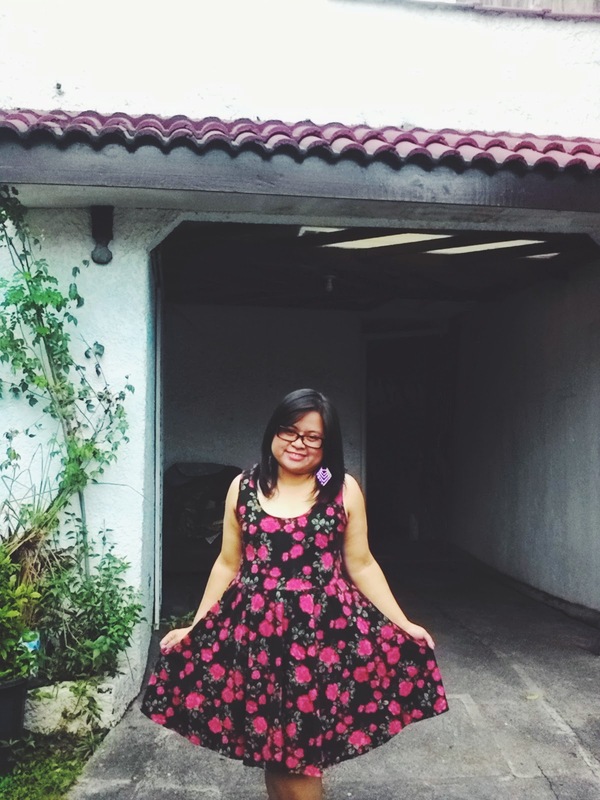 To top it off, one of my closest cousin just got married last Saturday, and being one of her bridesmaid was fun but I couldn't help but feel a bit stressed with all the wedding preparations and other bridesmaid duties. But the good news is.. I SURVIVED. I had to.. despite all the puyat and pagod. That's because I made sure that despite all that stress.. 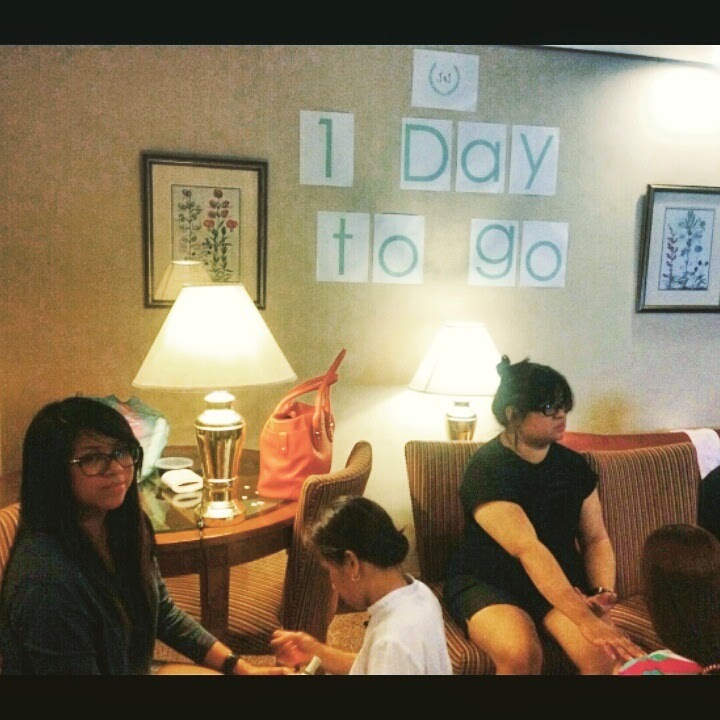 I had to find a way to "de-stress" coz bawal din ako ma-stress sabi ng doctor ko (more on that on another post). 1. 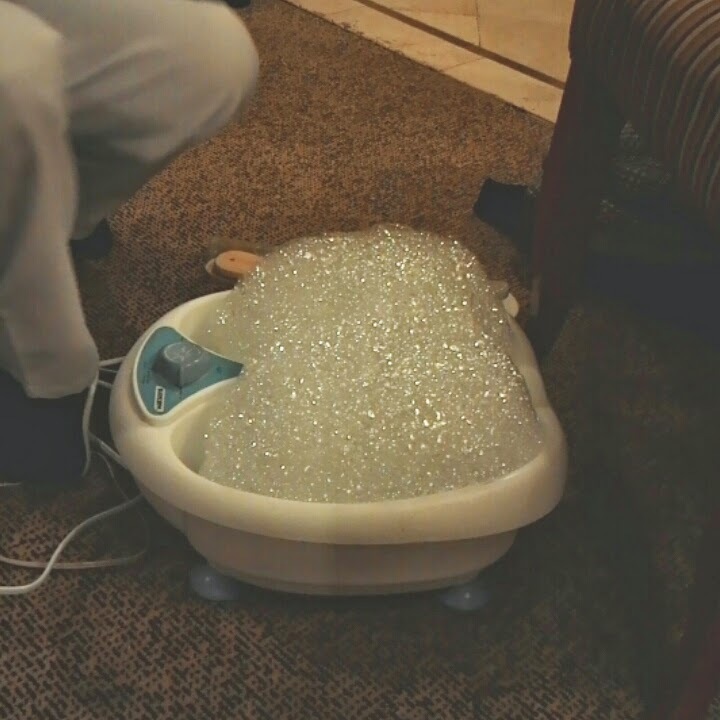 Pamper your feet with a foot spa! 2. Have a mani pedi and relax at your favorite nail salon. while we had our nails done. 4. Snuggle in bed and read a book. 5. 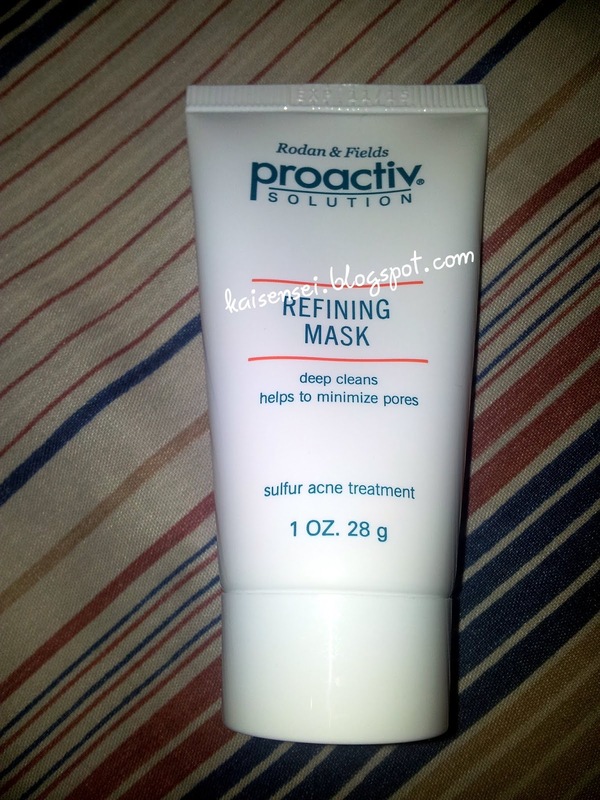 Or better yet, Use Proactiv Solution Combination Therapy to prevent acne before they begin. It's better to start early and prevent acne to become more aggravated right? This can be done with the Proactiv Combination Therapy System. It is a 3-Step System that work together to cleanse your skin, fight the blemishes, help stop new one from forming, and gently heal damaged skin. Our rich, deep cleansing mask uses sulfur, a proven acne blemishfighting ingredient that reaches deep into the pores, heals existing blemishes, pampers inflamed skin, and softens and refines the skin’stexture. So this Christmas, have a stress-free and acne-free face by using the Proactiv Solution Combination Therapy. Gift it to yourself or to your loved one this Christmas! Don't forget to take advantage of the ongoing Proactiv promo which is The Proactiv 60-Day Limited Edition Pack with FREE Proactiv Advanced Daily Oil Control 50ml which is available at Watsons and SM Department stores (Beauty Section) nationwide. 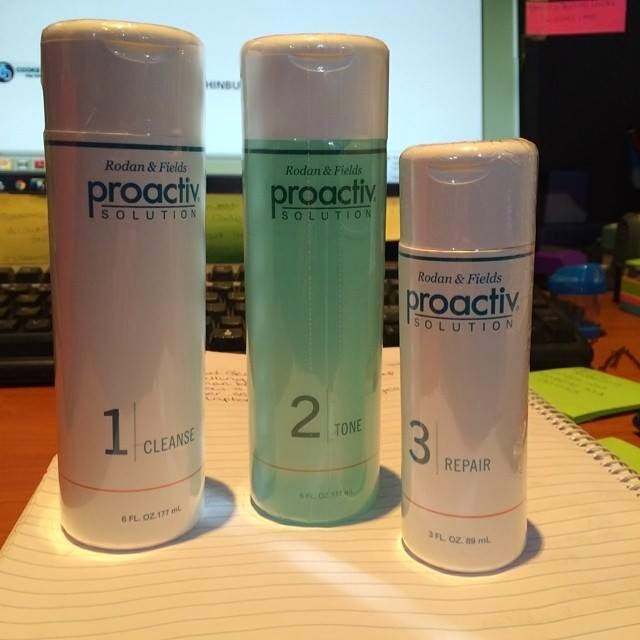 Also, don't forget that you can order your own Proactiv Set ONLINE.. just click this link here.